Georgie is thrilled when Veronica stays at the Cooper house on Young Sheldon. "A Proposal and a Popsicle Stick Cross" is the 21st episode of the show's second season. 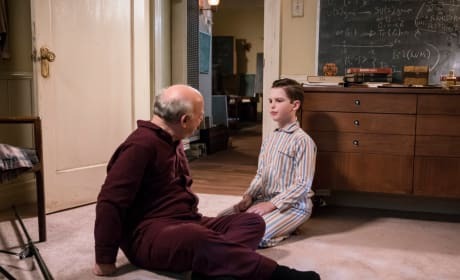 More school funds go towards football than academics causing tension in the Cooper household on Young Sheldon. "A Political Campaign and a Candy Land Cheater" is the 19th episode of the show's second season. Sheldon moves in with Dr. Sturgis for a weekend to see what college will be like on Young Sheldon. "A Perfect Score and a Bunsen Burner Marshmallow" is the 18th episode of the show's second season. 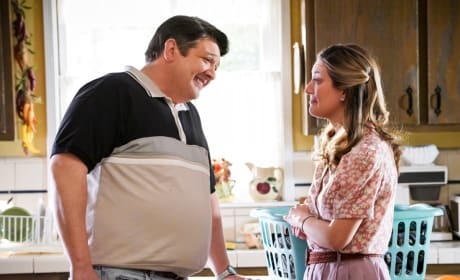 Mary shares with her mother that she thinks she might be pregnant on Young Sheldon. "Albert Einstein and the Story of Another Mary" is the 17th episode of the show's second season. Mary takes over for Pastor Jeff at church on Young Sheldon. "A Math Emergency and Perky Palms" is the 15th episode of the show's second season. Sheldon ends up being a patient at the hospital on Young Sheldon. "A Tummy Ache and a Whale of a Metaphor" is the 12th episode of the show's second season. 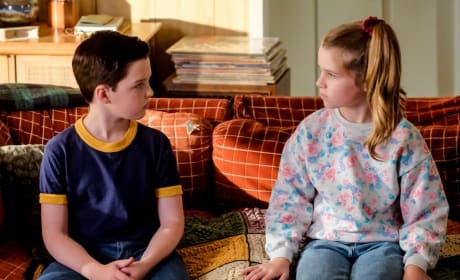 Georgie joins Mary's bible study group in order to get close to the girl he likes on Young Sheldon. "A Race of Superhumans and a Letter to Alf" is the 11th episode of the show's second season. Sheldon tries to act more like a kid on Young Sheldon. "A Stunted Childhood and a Can of Fancy Mixed Nuts" is the tenth episode of the show's second season. 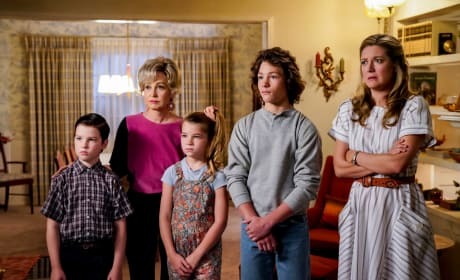 The family reacts when George Sr. is offered a job in Oklahoma on Young Sheldon. "Family Dynamics and a Red Fiero" is the ninth episode of the show's second season.